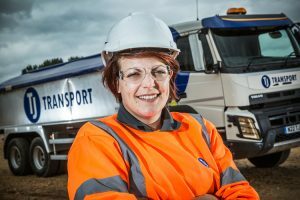 For the second time within a year, bulk haulage specialist TJ Transport has been recognised nationally for helping make our roads safer. Headquartered near Portsmouth and with 165 drivers, TJ Transport achieved Fleet Operator Recognition Scheme (FORS) Silver status. 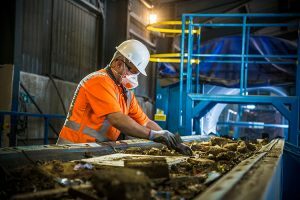 There are just 1,000 companies in the UK which have been awarded the highly regarded standard by the transport industry’s go-to accreditation scheme. The latest accolade follows TJ’s Transport for London award 11 months ago for reducing occupational road risk following a new online driver induction programme. Silver is awarded to operators which maintain Bronze accreditation and have developed driver licensing verification systems. To further meet the strict criteria, vehicles over 3.5 tonnes must be equipped with a left-turn audible warning system and fitted with blind-spot minimisation devices. TJ Transport is required to ensure all drivers and line managers undergo approved progressive training and continued professional development. 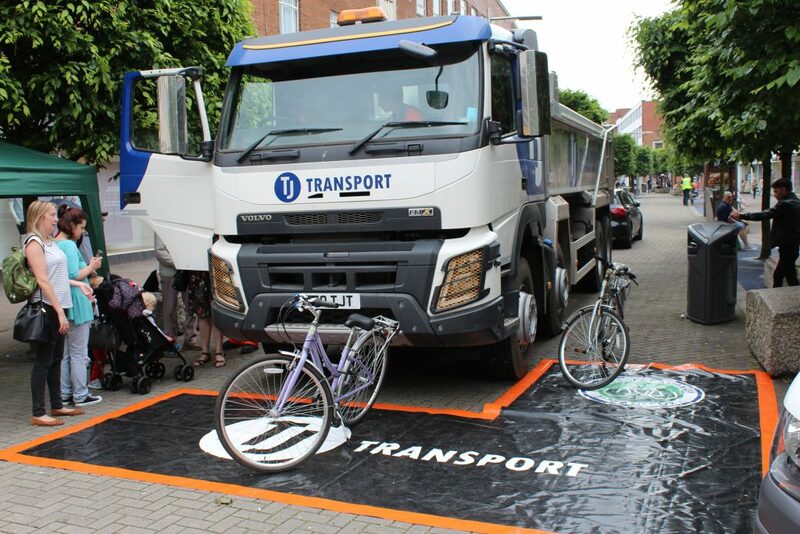 Dozens of its drivers took part in safe urban driving sessions, including riding bikes in Southampton and Bristol to better understand road hazards facing cyclists. Lee Downer, TJ’s in-house fleet engineer and driver trainer, pictured, oversaw the meticulous accreditation process. 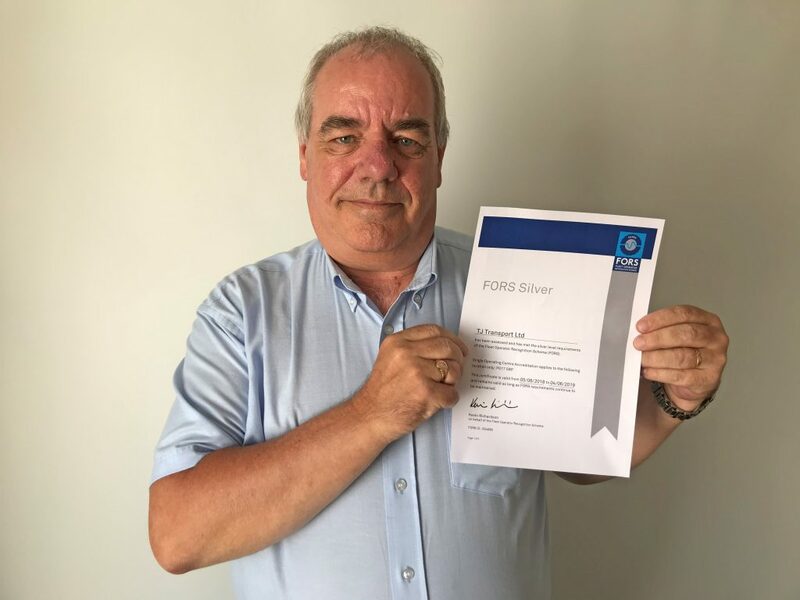 He said: “FORS Silver represents best practice in transport operations and meets rigorous procurement conditions in the supply chain. 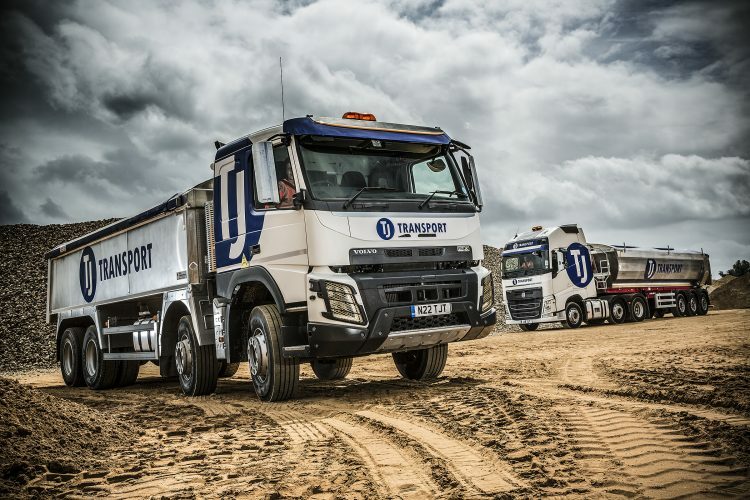 Now in its 23rd year, and with a mixed-use range of 155 vehicles, the TJ group employs 220 staff and works for 3,000 commercial and domestic customers across southern England. Its companies are TJ Transport and waste management specialist TJ Waste & Recycling. 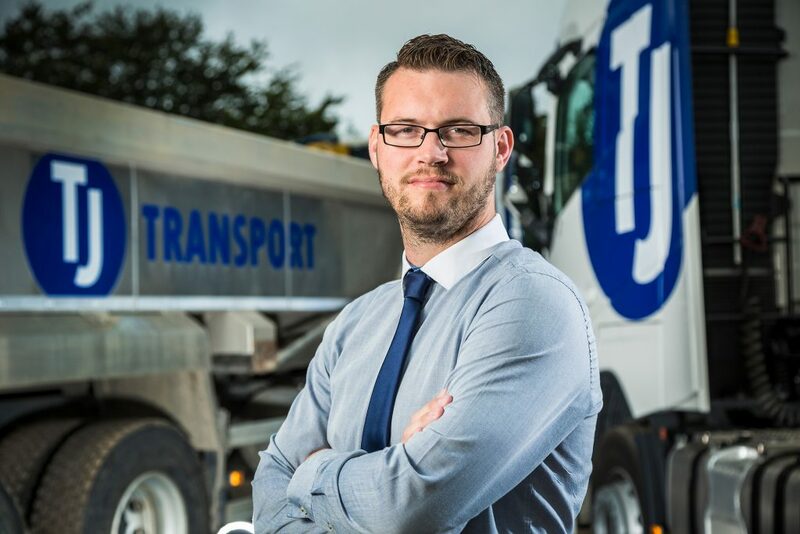 Neil Glazebrook, TJ’s transport director, said: “Whilst we continue to enhance the delivery of driver training, thanks to the incredible commitment of staff and the great work by Lee, there can be no room for complacency. TJ is licensed to extract up to 1.5 million tonnes of chalk from Butser quarry, by the A3 near Petersfield, and 468,000 tonnes of sand and gravel from Forest Lodge quarry at Hythe, near Southampton. TJ Transport is a member of the Mineral Products Association, the trade association for the aggregates, asphalt, cement, concrete, lime, mortar and silica sand industries. Other members include CEMEX UK, Hanson UK and Tarmac. In August, following tragic cyclist and pedestrian fatalities, the MPA renewed its call for a greater public and private sector commitment to vulnerable road user safety. According to Hampshire figures, over five years to 2016, 235 pedestrians were either killed or seriously injured, along with 89 cyclists, 46 car occupants and 4 motorcyclists.